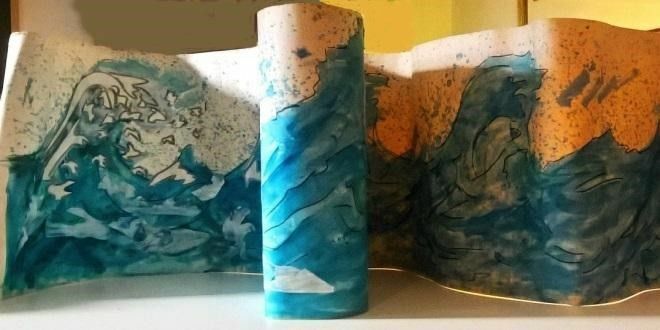 Presenting artworks by My Sight Nottinghamshire service users, the exhibition features the culmination of series of creative workshop sessions led by artists and specialists Clare Birdsall and Jeanne Roberts around the theme of 'water'. In these workshops the participants had the opportunity to share memories, thoughts and interpret themes by creating mixed media artworks using tactile printing methods. My Sight Nottinghamshire supports visually impaired people of all ages, providing support, advice, information and even leisure activities.